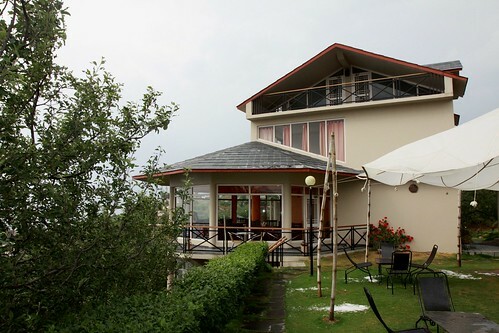 Banjara Orchard Retreat is managed by two enterprising individuals because of their passion for the outdoors, they provide soft adventure expeditions as well as family retreats in the Himalayas. They provide a unique concept of being out in nature, camping, trekking or simply relaxing, without having to forego any of the modern comforts that we, city creatures, are used to. We had heard about them from family who had visited their Thanedar retreat a couple of years ago, returning with rave reviews. So we were quite excited about checking them out ourselves. Nestled among apple and cherry trees, Thanedar’s Banjara Orchard Retreat is a beautifully designed and landscaped property that is located just about a kilometer from the village’s bazaar. It is Mr. Prakash Thakur’s ancestral property, which he has lovingly restored and updated with modern comforts and extremely good taste. Designed and conceived by him, the interiors – furnishings, decor, wall paint – look like they have been professionally done up but with a personal touch; quite impressive! Stone steps lined with fruit trees on either side led us from the main road down to the retreat. It consists of 2 2-storied buildings and 2 log cabins set apart by manicured lawns and flower gardens. The main building comprises of a lounge area to which is appended a modestly-sized, semi-circular dining room with glass walls that provide excellent views of the valley and the mountains beyond. An open-air gallery runs around this hall and it is an excellent place to enjoy the views in good weather. The orange interiors, dark-wood furniture, glass lamps and an excellent painting of Meera and Krishna made the dining hall one of my favorite rooms in the retreat! An activity center with board games and a library sits on the floor below the dining hall. It’s a great place to find a book to chill with or play games with the family. Our double-room was housed in the second building, which is just across from the first, separated by a lawn. Here all the rooms and suites are, quite appropriately, named after the fruits in Mr. Thakur’s orchard; ours was the Apricot room! It was on the upper floor, in a corner, with a small balcony that could accommodate 2 chairs and a round table. And from here the views were just as spectacular as from the dining hall! A window on the side wall gave us views of the orchard, which was dripping with fruits – the red, ready-to-be-harvested, cherries looked absolutely sumptuous! 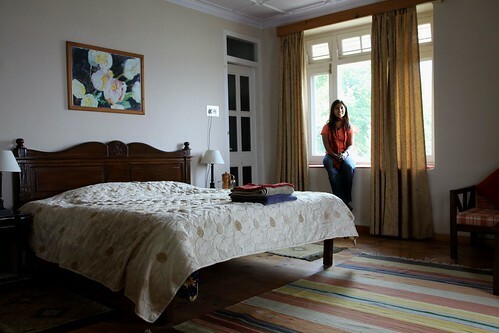 Inside, the room had beautiful wooden flooring with a large, comfortable queen bed, side tables and lamps. A seating area in one corner between the window and the balcony had 2 chairs and a coffee table. The bathroom was modestly sized with good quality, modern fixtures. Overall, it was a simple but luxurious space! The only thing the room lacked was an armoire or shelves where we could put our stuff. What sets Banjara Orchard Retreat apart, though, from those that we have stayed at, of similar price range, is the thought put into the small things. From the quality of linen, curtains and towels to the copper water jug and aromatic, natural soaps, everything looked hand-picked and well thought of! It gave the place a classy yet homely touch! Meals, which are included in the stay, include bed-tea, breakfast, lunch, evening tea with snacks and dinner. Weather-permitting, Mr. Thakur also hosts a bonfire in the lawns, accompanied by barbecued-to-order appetizers! This was a great opportunity for us to interact with the other guests at the retreat. We were impressed with how Mr. Thakur presided over the proceedings, encouraging conversations, without ever interfering! These moments at the retreat were my favorite during the entire stay. 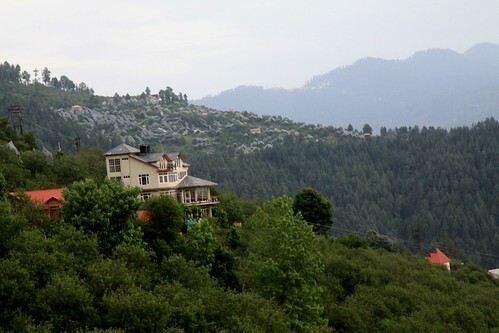 Overall, our stay at Thanedar’s Banjara Orchard Retreat was one of our most relaxing ones. And the time spent with Mr. Thakur made it all the more special. A warm, intelligent person, he had plenty of stories to regale us with. Moreover, his knowledge of the region – history, flora, fauna – enriched our experience completely. This is one place we would definitely want to go back to in the future! Fine use of words & an excellent work…. 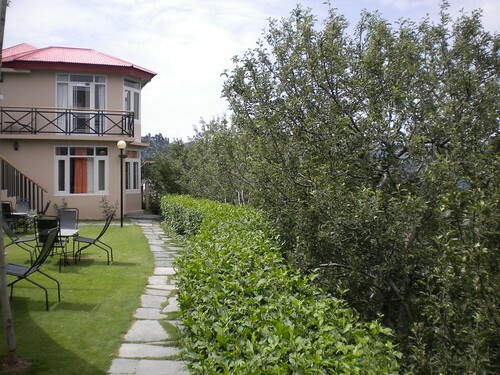 Banjara Orchard Retreat is high on our list of places to stay in India. Too bad to hear about your Shoja stay. Fellow guests can either make or break your stay. 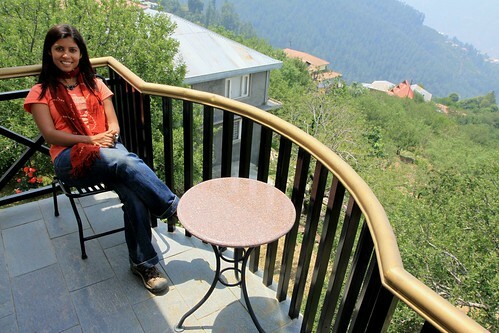 We were fortunate to meet some lovely fellow guests at Thanedar – No loud families. Sometimes large groups end up messing the whole experience. We have been subjected to that a couple of times. This is more common in the regions around Delhi and Kolkata. Usually we stay clear of places which have swings, pools, game rooms etc – These places typically tend to have families from the near by towns/cities.